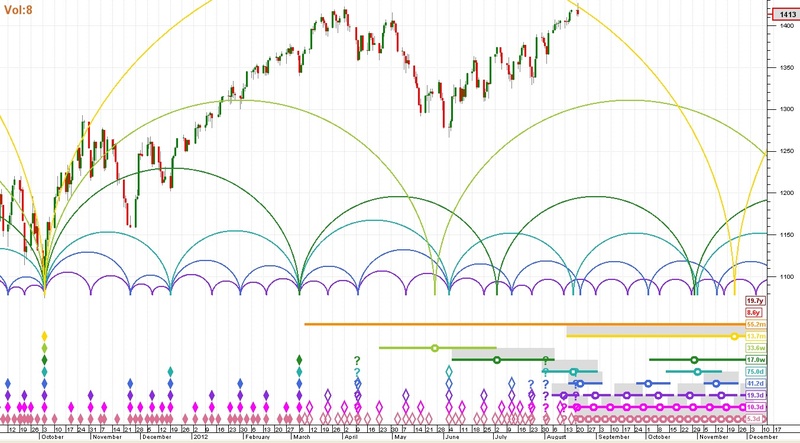 Some new indicators and a revamping of the first page of my charts. I’m not presently blogging, but spend several minutes each day reading my annotations and charts, and you’ll know what I’m thinking. You can find further information about Hurst’s Cyclic Principles here. Lots of good Hurst info at this link. For anyone interested in keeping Hurst Cycles by hand . . . it’s a LOT of work. The Hurst cycles course is about $500 (Hurst Cycle Course), which you will definitely need to chart by hand Been there, done that – and wound up not keeping the cycles up to date. You fall behind and miss important turns. Incidentally, there is a LOT more to Hurst cycles than what I show in my blog charts. 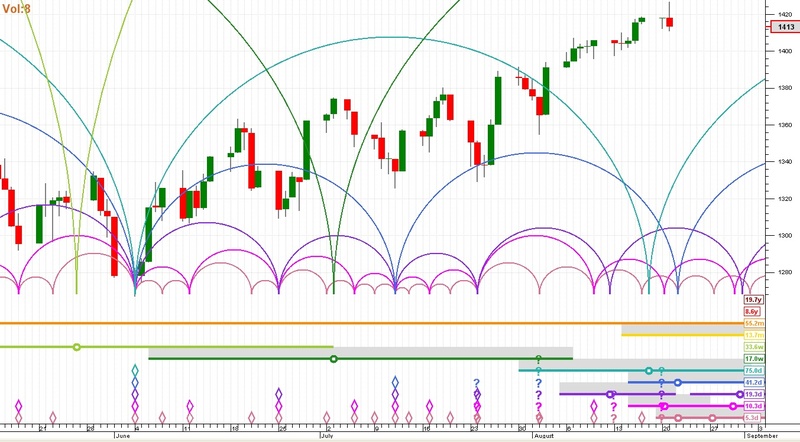 The software to generate the cycles is excellent and highly recommended (Sentient Trader). It automatically generates all of the bells and whistles that Hurst developed and does it accurately. 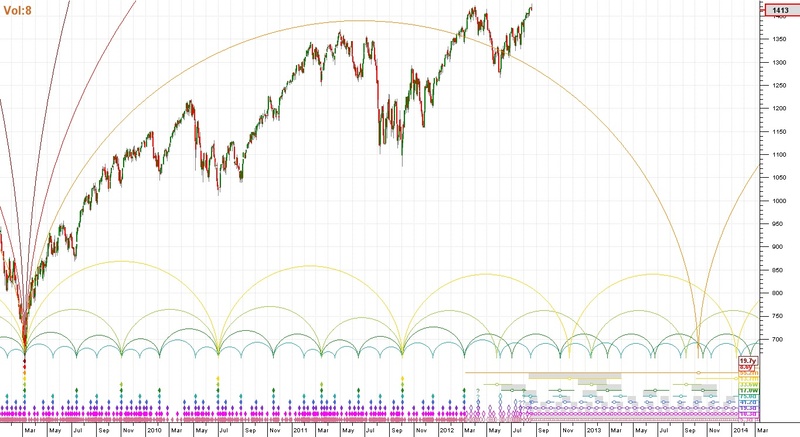 But if all you want is the Cliff Notes version of the cycles, try Hurst Signals. It’s consists of a concise update of the different cycles and no work is involved. This entry was posted on August 22, 2012 at 4:20 PM and is filed under CYCLES. You can subscribe via RSS 2.0 feed to this post's comments. You can comment below, or link to this permanent URL from your own site.